Watch the National Ambassador in action! Every two years, a beloved and respected children’s book creator is appointed the National Ambassador for Young People’s Literature to raise national awareness of the importance of young people’s literature as it relates to lifelong literacy, education, and the development and betterment of the lives of young people. The National Ambassador travels nationwide over the course of his or her two-year term, showing kids and teens that reading is a vital part of their lives, and speaking to parents, teachers, librarians, local booksellers—everyone invested in young people’s literacy—about how to better connect with kids and teens and help them love reading. The National Ambassador for Young People’s Literature Program was established in 2008 by the Children’s Book Council (CBC), Every Child a Reader, and the Library of Congress. 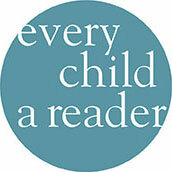 The program is administered by the staff of Every Child a Reader. Over the last ten years, the National Ambassador Program has reached millions of young readers and their caregivers in the United States. Jacqueline Woodson joins the ranks of children’s literary icons Jon Scieszka (2008–2009), Katherine Paterson (2010–2011), Walter Dean Myers (2012–2013), Kate DiCamillo (2014–2015), and Gene Luen Yang (2016-2017) as the sixth National Ambassador. She was inaugurated at a ceremony at the Library of Congress in Washington, DC, hosted by the Librarian of Congress, Dr. Carla Hayden. Visit the Library of Congress National Ambassador website at www.read.gov/cfb/ambassador/.